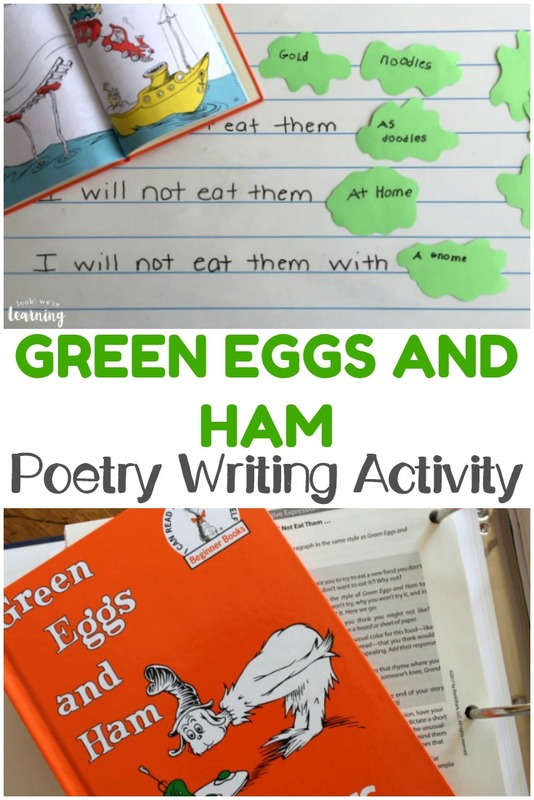 Simple Green Eggs and Ham Inspired Poetry Activity - Look! We're Learning! Since we’ve been working through BookShark Level 1 with our youngest, we’ve gotten to read plenty of wonderful stories. When I looked at the bookshelf and noticed we had yet to read Green Eggs and Ham, though, I wanted to jump for joy. As a child, I read The Cat In the Hat first. 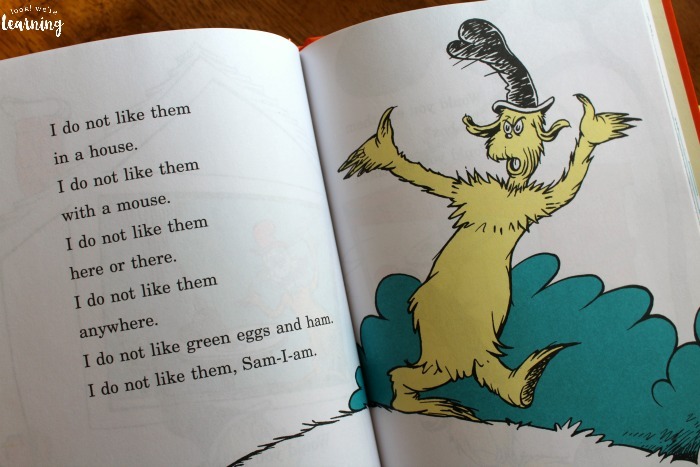 But Green Eggs and Ham is, by far, my favorite Dr. Seuss book. I love it so much. 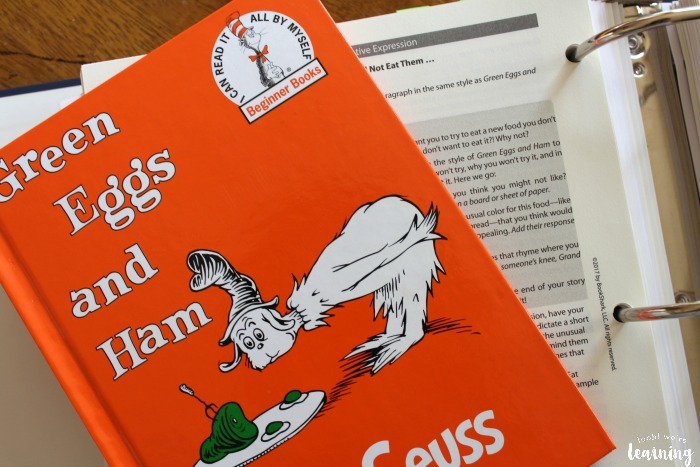 With the help of our BookShark program, we turned this classic story into a simple Green Eggs and Ham poetry activity. My first grader loved it! 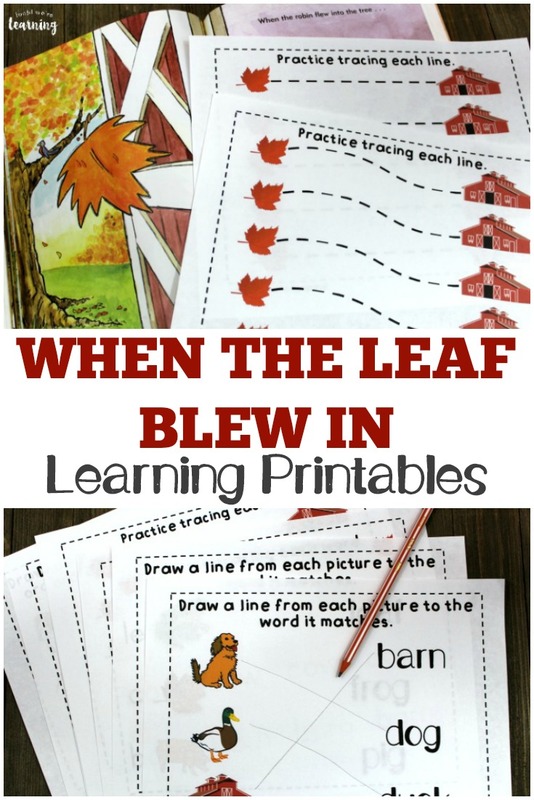 Take a look at how we extended this story into a super easy creative writing lesson! 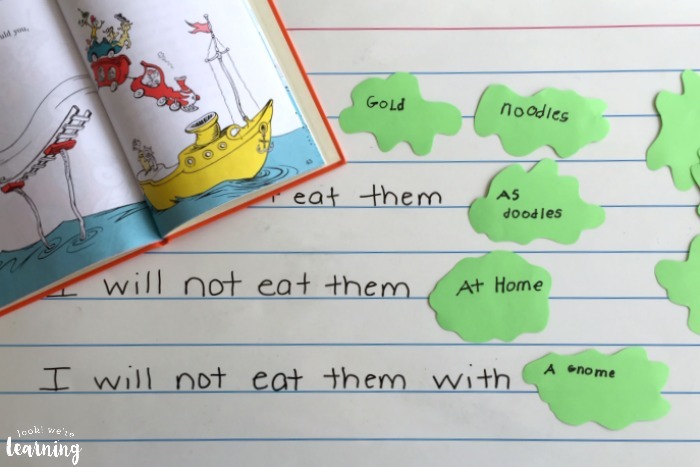 And for more practice with ELA, don’t miss our printable Construction Contractions Language Arts lesson! We began by reading Green Eggs and Ham. Our little one read it to me while I sat and looked on. She found the story and the illustrations hilarious. 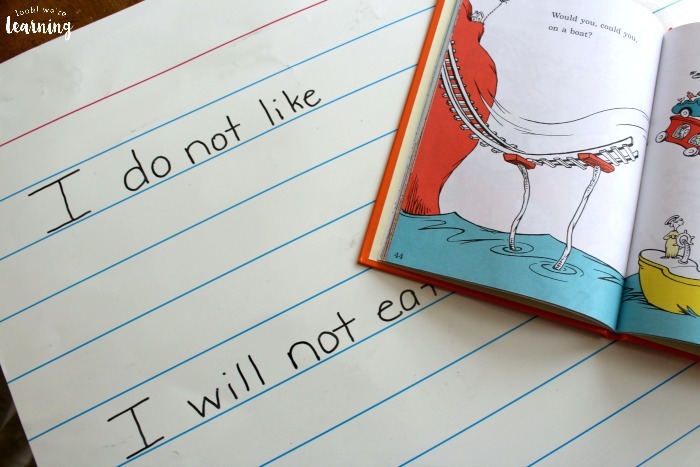 In our BookShark Level 1 lesson, the curriculum guide encouraged us to work on writing our own poem based on a food that we would not like to eat. So I pulled out our giant laminated index card and started a couple of sentences. 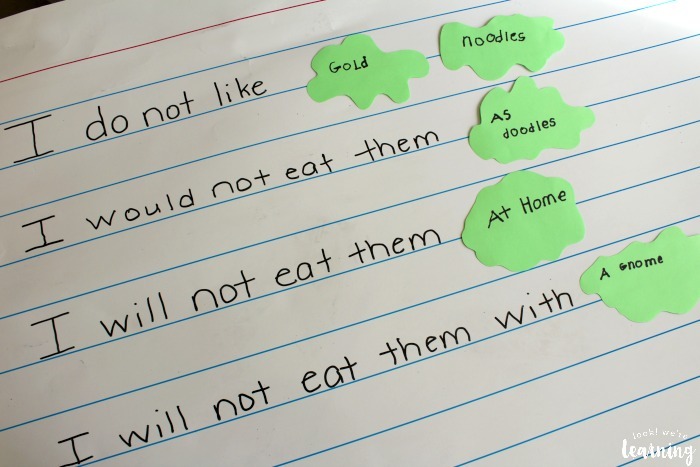 Then it was up to our first grader to fill in the blanks with her own ideas for yucky food and where she wouldn’t eat it. 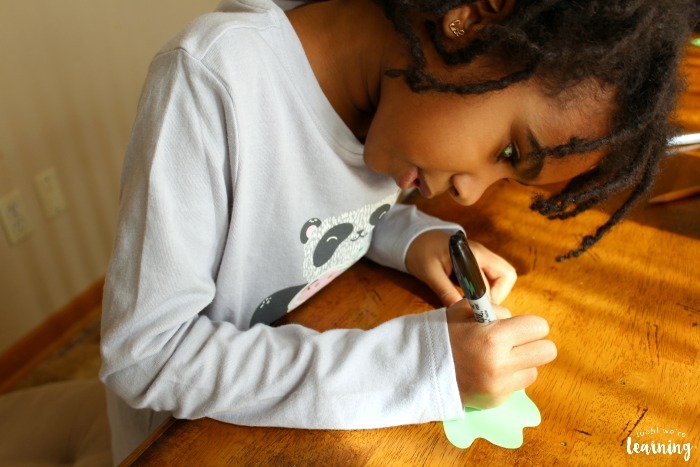 Then I thought it would be a little more fun to let her write her answers on some “green eggs” of our own. 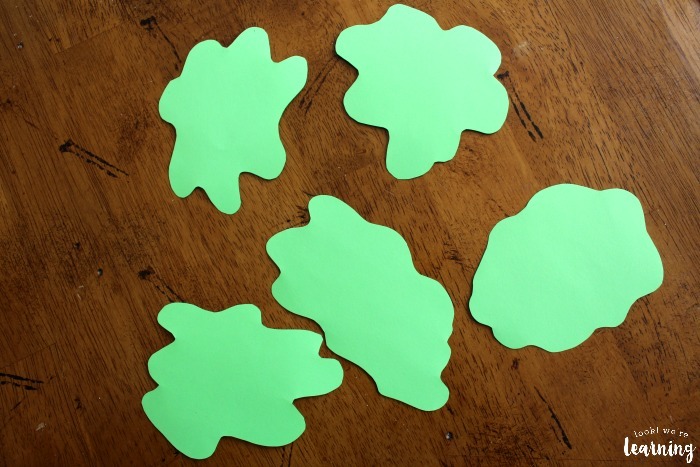 So I just cut out some wiggly shapes from green paper. She started by choosing a strange food color – “gold”. Then the food she added was noodles. Incidentally, she’d just had noodles for lunch that day. It’s entirely possible she was trying to tell me something. 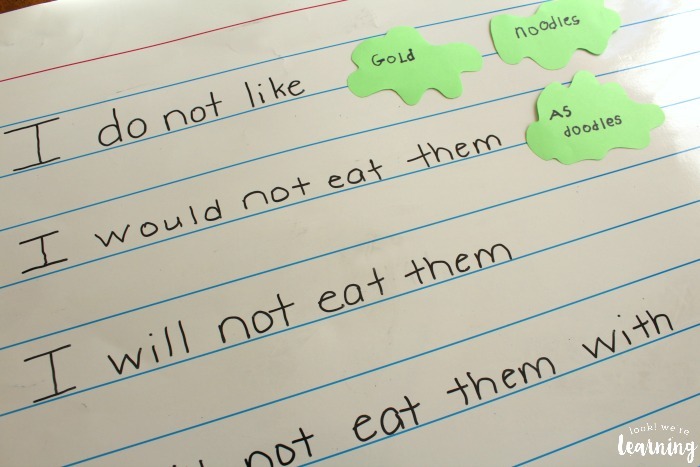 When we started thinking of words that rhymed with noodles, she got to “doodles” and decided that would work. Then it was time to think of a place she wouldn’t like to eat her strange food. She choose “at home”. Which definitely made me think she was trying to tell me something. And, naturally, if you won’t eat them at home, then you won’t eat them with a gnome either. And her rhyme was done! Score! Now let’s see if she remembers that little lesson the next time I serve dinner. 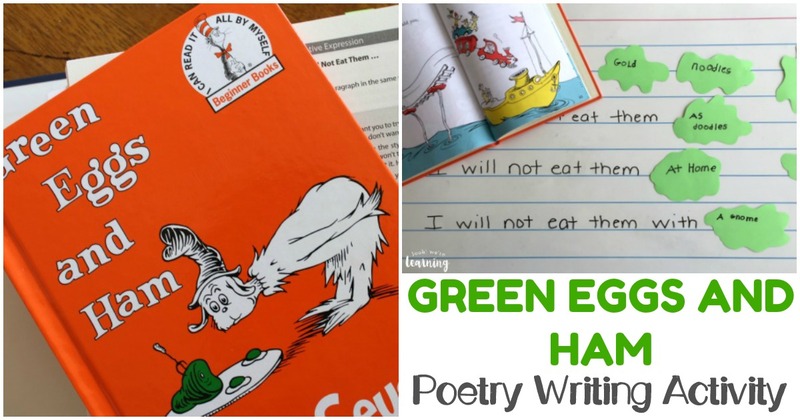 This Green Eggs and Ham poetry activity was just one of the activities in BookShark Level 1 for this book. 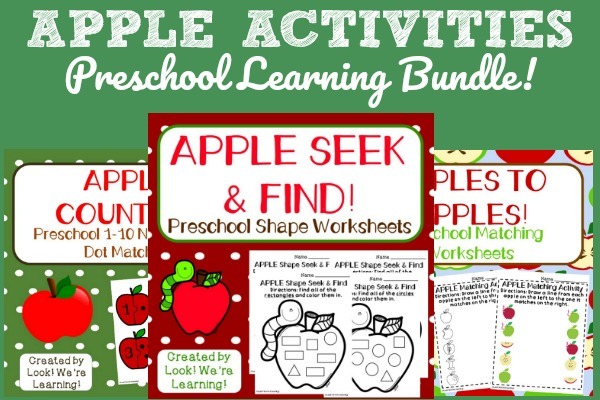 Take a look at BookShark’s curriculum to see more ways you can use it to bring stories to life with your kids! 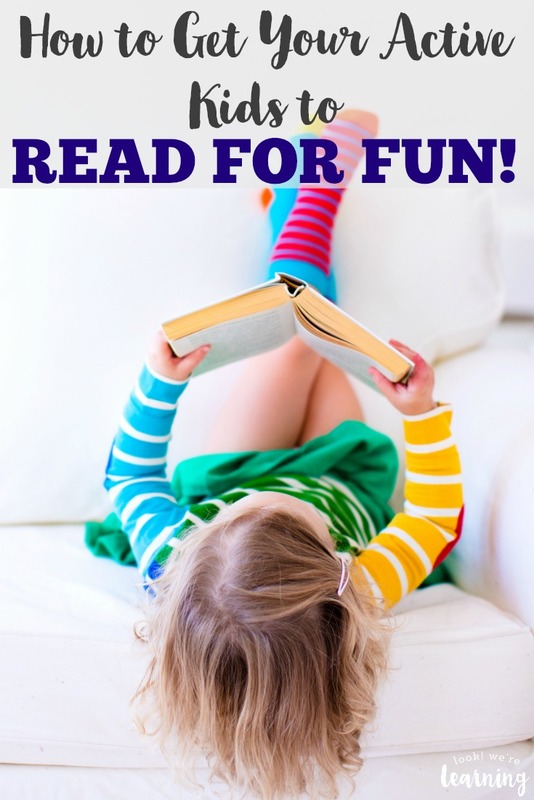 Check out these other reading activities for children! 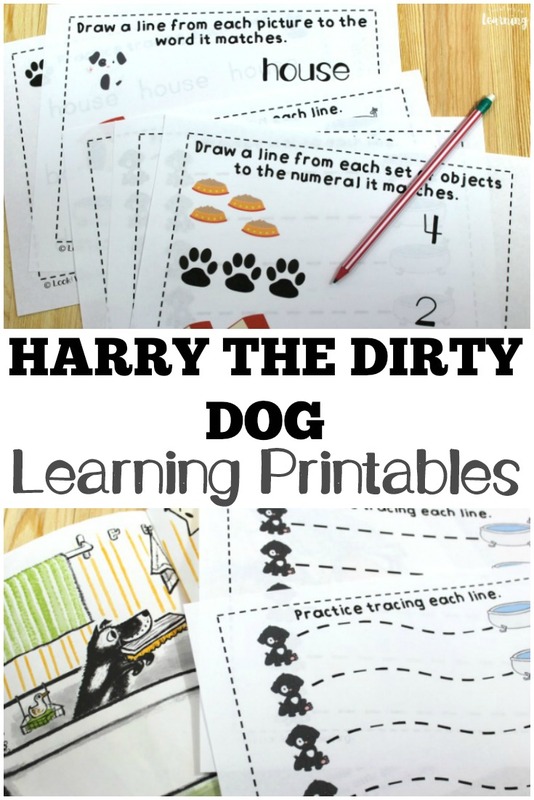 And see more ways to make story time fun on my Reading for Kids Pinterest board!